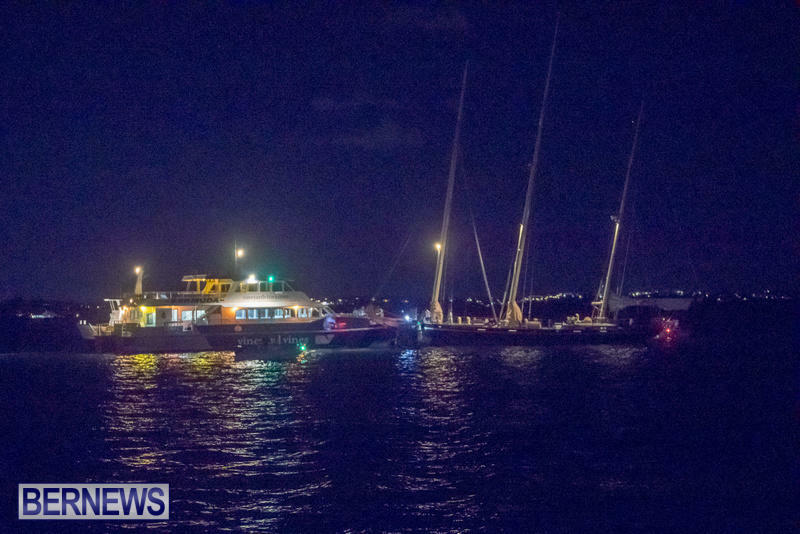 An 18-year-old woman and a 25-year-old man both sustained “non-life threatening injuries” in the collision involving a ferry and the Spirit of Bermuda on Friday night, the police have confirmed. A police spokesperson said, “It now appears that two persons, believed to be an 18-year-old Pembroke woman and a 25-year-old Pembroke man, sustained non-life threatening injuries when the sailing vessel ‘Spirit of Bermuda’ and the Government ferry ‘Resolute’ collided in waters near Dockyard Friday night. “In addition to both vessels being damaged, apparently three motorcycles on the ferry at the time were also damaged. Another Ferry Tail about to be told. What the hey. Like did you not see the big as ferry comin. Yeah its dark but its a big as ferry… vice versa. Sail always has right of way. Not if their engine was running. One boat weighs more than the other, one boat has a single engine with limited horspower, one boat is travelling significantly slower than the other and is hard to manouver. Logic prevails, that one party could have avoided the situation while the other could not, I will let you figure the rest out for yourself. Who was in the Wrong? We’re the captains drug tested and Breathalyzer? People were injured. There’s nothing in the rules that speaks to the weight of boats, the number of engines or which is faster. Lets not make stuff up and just let the facts speak for themselves. The authorities know how to find the answers. Ferry operator had the lighter more manuverable vessel, this vessel is jet propulsion i think… if so can spin around on a dime. Basically you drop her in neutral if prop, then when shaft stops spinning reverse and you thrust repeatedly… if you try full on you can bend a shaft and or open a stuffing box or both on older vessels. Ferry boy…. Best you pay attention….